Welcome to this week’s first giveaway (yes that’s right, there might be another later in the week) where I’ve teamed up with the lovely people at Chair Furniture to offer one lucky reader either an Eames Style DAW Chair worth £59 or a fabulous Eames Style RAR Rocking Chair worth £62. These chairs are incredibly versatile and perfect for all kinds of spots in the house. Try one at your desk, in your teenager’s room or around your dining table. The trend for using a mix of chair styles at dining tables is really catching on, so no need to worry if you don’t have a matching set. The DAW style chair would look fabulous mixed with lots of different styles, whilst the RAR Rocker is perfect as a statement chair in any room. Throw on a striking cushion or a sheepskin rug and you’re ready to go! 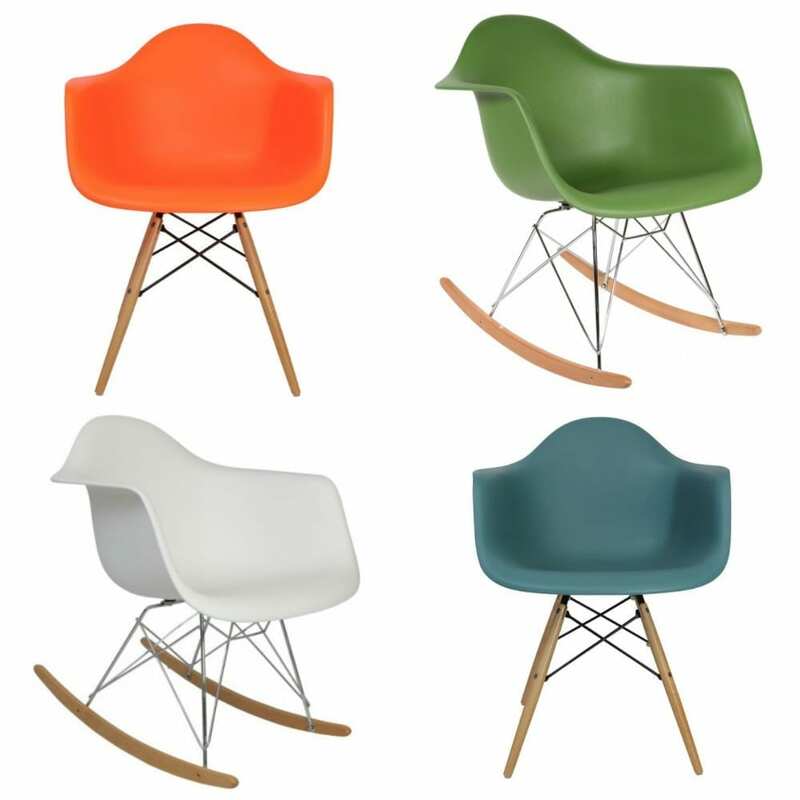 Chair Furniture have a few colours available for this prize – choose from White, Ocean, Vintage Orange, Cactus Green/Tarmac. Personally I’m loving the orange, but the choice is yours. Which one would you prefer? Chair Furniture have a wonderful selection of chairs if you’ve been looking for these styles, and at really great prices too. To be in with a chance of winning one of these great chairs, here’s what you have to do. Just follow the instructions in the Rafflectopter widget below. Compulsory entry include sending the tweet with the optional entries of signing up to their newsletter, visiting FB pages and following on Twitter. It’s very straightforward, the instructions are all below. Full Terms and Conditions are listed in the Rafflectopter widget.